Kiku Japanese Bistro | Oh No! Not Another NYC Food Blog! 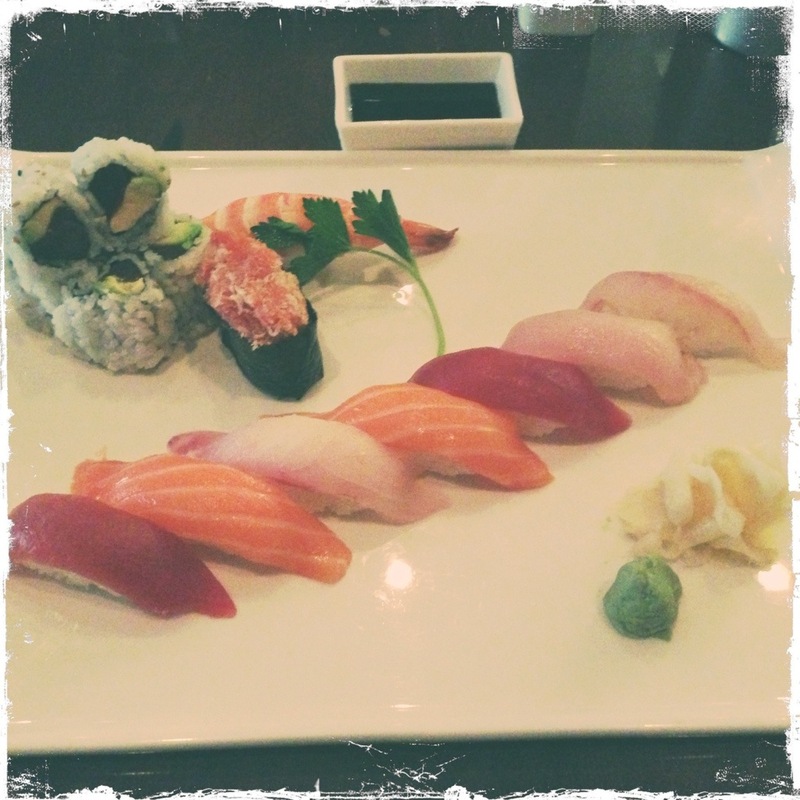 Sushi & other fare in Park Slope. good quality fish on the sushi, and the tuna boat looking piece had nice little crunchies for a change of pace. The roll was simple but good with sesame seeds for an extra pop. As always, we had to get dumplings. 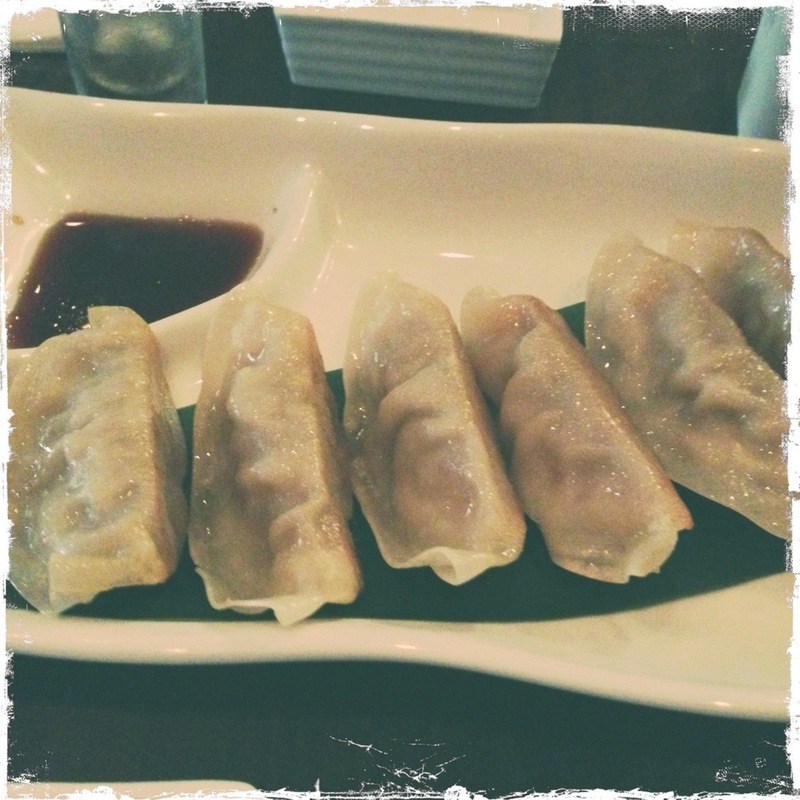 Pork Gyoza was the dumpling of choice – The gyoza had vice seasoning, with a melt in your mouth wrapper and just a touch of crunch. Somehow, we also ended up with vanilla ice cream and oranges at the end if the meal. Fabulous, and a welcome treat we didn’t even know we wanted. Clean, modern, and low lit. 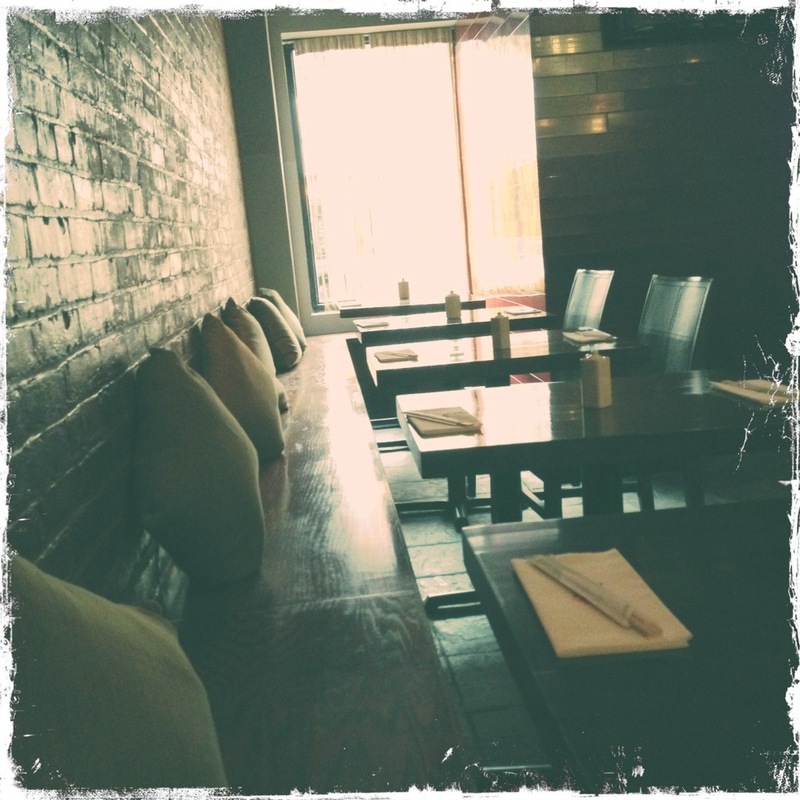 A nice little sushi spot and a great option for dinner in the neighborhood. 4.5 out of 5 for solid sushi and a pleasant atmosphere (minus the smooth jazz. They almost lost a quarter of a point for that).